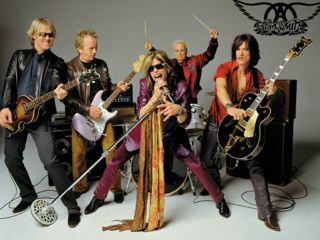 Joe Perry: "Kids can plug in, play new tunes"
Aerosmith have just started recording their new album but guitarist Joe Perry already says that some of the new songs may be made available prior to release via Guitar Hero: Aerosmith. "We'll probably release some of the music from our new record as a download so kids can plug it in and play some new tunes on the game," Perry says. "But what's really funny is we were talking to the White Stripes and some of their early recordings have gone missing," adds Joe Perry. "I guess that's kind of the last thing on your mind when you're trying to get your record out there. We never thought it would matter that much 30 years later."